The Wolf Pack Repeater System currently features three repeaters in Stoneham, Massachusetts. They cover frequencies in 2 meters, 1.25 meters, and 70 CM. Two out of three repeaters are digital. 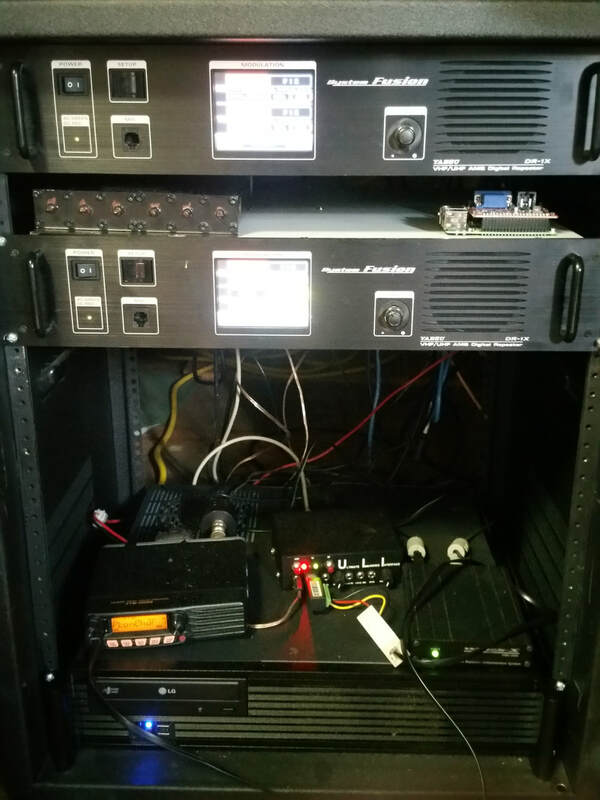 One on Yaesu's System Fusion, the other on D-Star. The 147.075 repeater is the flagship of the system, this Fusion repeater is connected into Wires-X and Echolink. It also features a YSF reflector link for access from hotspots. It is also the hub of the Wolf Den Network, which will, hopefully, branch out to other Fusion repeaters in the Southern New England area. If you have a Fusion repeater and would like to link in, Please contact the Wolf Pack Repeater System, so you can be listed as an affiliated repeater.